The world of Git and Git repositories is quickly becoming a proxy war for big tech companies. Atlassian acquired Bitbucket back in 2010, which today has surpassed 6 million developers on its platform. Microsoft acquired GitHub for an impressive $7.5B in June, gaining access to GitHub’s 28 million developers, who have contributed to 85 million repositories. The acquisition followed Microsoft’s closure of CodePlex, a service for hosting open-source repositories that has slowly waned in popularity over the years. Alphabet’s venture capital arm GV, formerly known as Google Ventures, participated in GitLab’s $100M Series D in September. GV led GitLab’s $20M Series C toward the end of 2017, more than a year after shutting down Google Code, another doomed GitHub competitor. GitHub and GitLab are valuable pawns in the much bigger game of tech giant chess. Microsoft is certainly the most improved player. VS Code, Microsoft’s free and open source code editor, is winning the code editor wars. Their new feature, Live Share, will only increase their lead. While Microsoft has made major changes and investments, it’s still far behind today’s leaders. Developers and independent software vendors are the keys to platform success. Microsoft Windows, once the dominant developer platform in the world, was eclipsed by Apple’s iOS platform and Google Android. They were caught flat footed again with the rise of Amazon AWS but have made big strides with Azure. 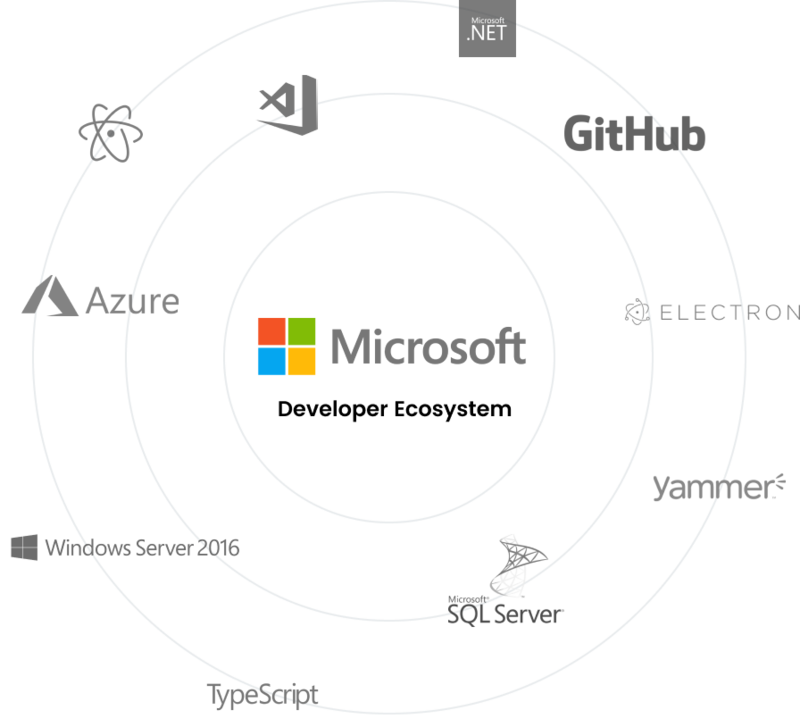 Owning GitHub, the self-proclaimed “home” for developers, can give Microsoft an opportunity to influence where developers invest their time (e.g. on apps in Azure). As a result, it makes sense for the Google’s of the world to invest in alternative “homes” for developers, so they can neutralize or replace Microsoft’s influence with their own. As for GitLab, it appears that their new mission is to become the central DevOps hub for developers—a way to differentiate themselves from the powerful network effects that made GitHub such a prize for Microsoft. Will it be enough? We will have to see who ultimately wins in big tech developer chess.